How much do I love Shaun of the Dead? Let me count the ways… This UK sleeper hit caught me by surprise. Not as up on my Britcoms as I should be, I hadn’t known about Spaced until late in the day. I was utterly unprepared for the full-on comedic assault of Messrs. Wright, Pegg, and Frost. 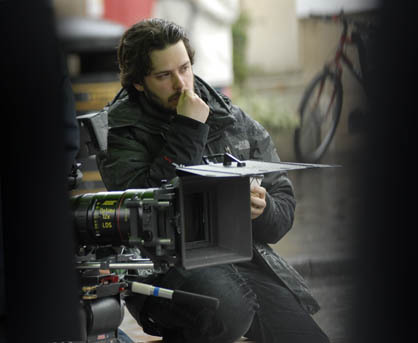 Edgar Wright, the director and co-writer of SotD; Simon Pegg, who co-wrote with Wright and also starred as the film’s hero, Shaun; and lastly, Nicholas Frost, the co-star and divine muse of all the Wright/Pegg film endeavours. 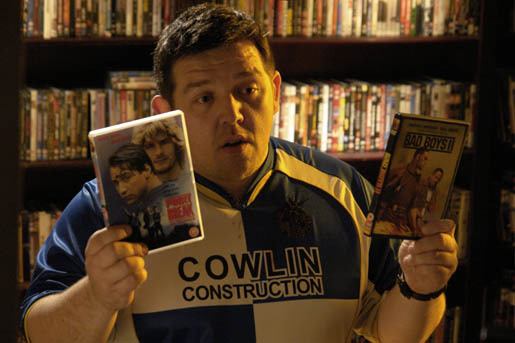 Shaun of the Dead was the most loving of homages to the classic zombie film. While there’s plenty of excitement and zombie-related gore, the charm of Shaun of the Dead is in its comedy. The combination of humour and the battle against undead brain-eaters has rarely worked as well as with a British accent. The UK take on the canon of George Romero and his Living Dead series was refreshing and hilarious. 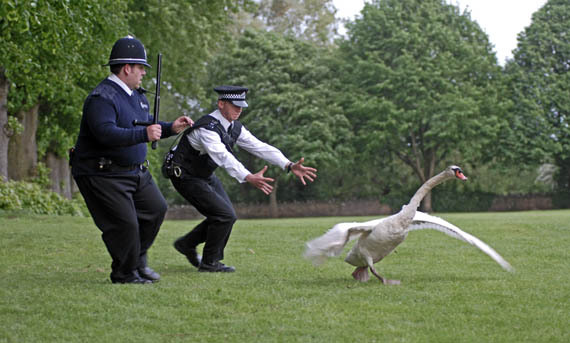 It was with high expectations that I forayed into a screening of their newest epoch, Hot Fuzz. This time there was much advance word about the production; in fact, when I interviewed Messrs. Pegg & Frost prior to the release of Hot Fuzz, they related how before Shaun of the Dead had even opened in the States, people were already asking “Where’s Hot Fuzz?” “When’s Hot Fuzz going to be finished?” It makes one wonder if anyone could live up to the expectations that greeted the success of Shaun of the Dead. 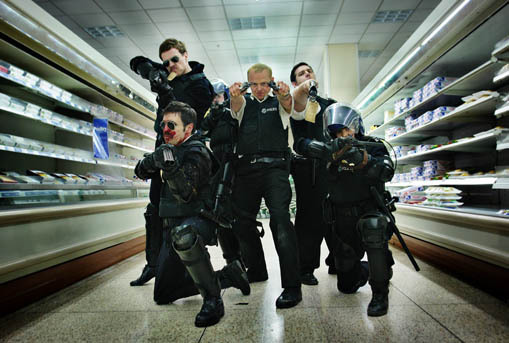 The stakes were higher in Hot Fuzz, from the addition of some of the notable stars of UK cinema and stage, to a clearly higher production budget. Right off the bat, the opening credits play like a slick Jerry Bruckheimer vehicle. Quick, sharp camera cuts, blinding lighting and guns, guns, guns, give us an introduction to London police officer, Nicholas Angel. Officer Angel is a one-man army of law enforcement, solely responsible for the highest arrest record on the force, and it’s that record that makes the rest of the London PD look bad and gets him carted off to the sleepy hamlet of Sandford. 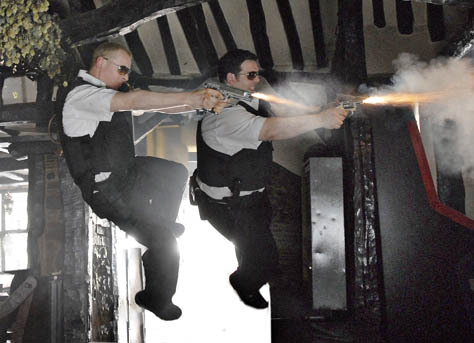 Upon his arrival, Officer Angel is partnered with the hapless, bumbling Officer Danny Butterman (Frost), son of the Sandford Police Chief, Frank Butterman (Jim Broadbent), and devotee of every shoot-em-up cop actioner ever made. Danny idolises big-city super officer Angel, and dreams of crime-fighting adventure, guns blazing, and bodies flying through the air, just like in his favourite DVD, Bad Boys 2. Unfortunately for Danny, in Sandford, the most out-of-control police call will usually involve missing water fowl, or patrolling town fairs. The constantly vigilant Angel drives himself crazy trying to find crimes in a town where crime doesn’t exist … or does it? A series of mysterious disappearances and accidents draws Angel’s suspicions that all is not what it seems in this idyllic village and he finally gets a chance to use the skills that have been stifling for so long. It isn’t long before he uncovers an insidious plot involving living statues, radical forms of arts criticism, and an entirely new interpretation of Keep Britain Tidy. 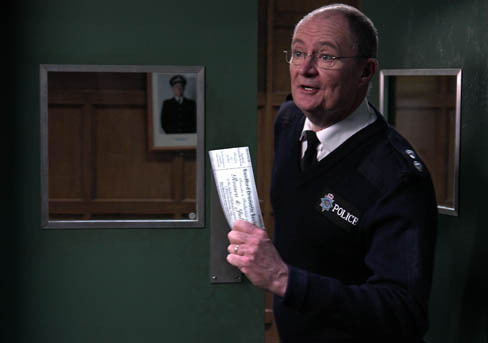 There’s so much good about Hot Fuzz, it’s got an exceptional supporting cast led by Oscar-winner Jim Broadbent. There’s Billie Whitelaw ( - the evil nanny from the original Omen), Paul Freeman (- Belloq from Raiders of the Lost Ark), Edward Woodward (- cos how do you do a cop homage without the Equalizer? 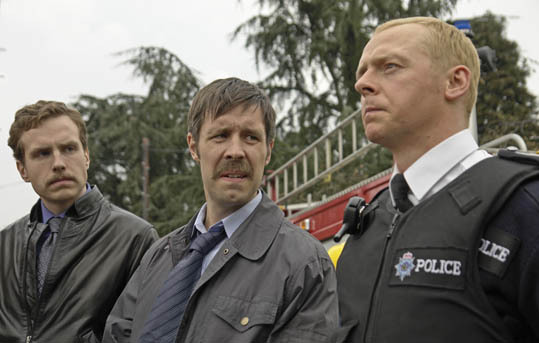 ), Paddy Considine, and cameos from Shaun of the Dead’s Martin Freeman, Bill Nighy, and Office co-creator Stephen Merchant. Even Cate Blanchett makes an appearance, but out of this stellar cast (- and excepting the masterful performance of Elvis the Swan, who runs away with the film) the standout of the piece is the inclusion of Timothy Dalton (- Why, exactly, hasn’t he got a ‘Sir”, yet? ), as Simon Skinner, local supermarket entrepreneur and his patent oiliness makes him an immediate suspect when things start going wrong. Dalton is having a great time here, chewing the scenery and performing physical comedy and stunts worthy of his Bond days. Indeed, these venerable lions of British theatre and cinema are only too happy to let loose with the comedy; the sight of Billie Whitelaw sporting an immaculate beehive hairdo while expertly brandishing a rifle will forever be tattooed on my retinas. 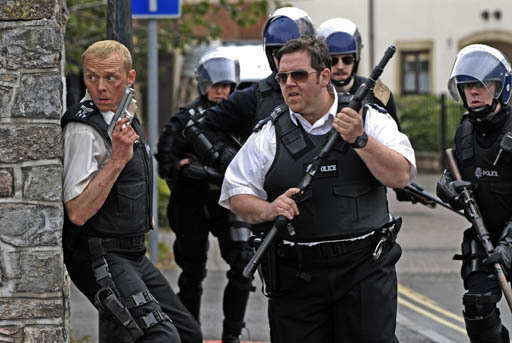 The drawback about Hot Fuzz is that while the laughs are certainly there, the pacing is so uneven with stretches of not very much happening for the first two-thirds of the film, that those laughs are too far apart to be a cohesive piece. There’s no prevailing momentum until near the end when Officer Butterman gets his chance at Bruckheimerian glory. The movie clocks in at a minute over two hours and you can feel it. If Hot Fuzz had been tightened up and lost maybe fifteen minutes or so, then I think we would have been looking at a much funnier movie. Also, I thought perhaps my lack of infatuation for cop films as a genre hurt my chance of getting all the references. Certainly, I have seen the Dirty Harry and Steve McQueen classics, the Lethal Weapon series, and even a few of the revered Bruckheimer canon (- can anyone escape Bad Boys 2 on cable? ), but I was never so captivated with cop actioners as a whole that I related to this love letter as effortlessly as I got Shaun of the Dead. 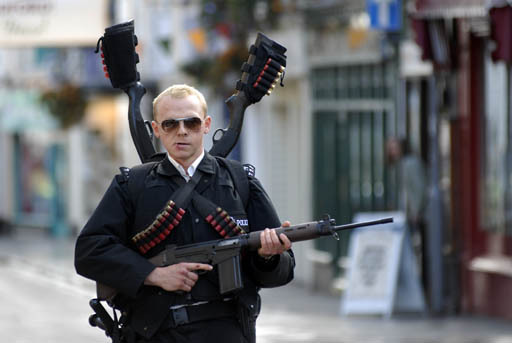 It may impossible to not make comparisons between Hot Fuzz and Shaun of the Dead: A lot of my disappointment in Hot Fuzz not being the laugh riot that I hoped it would be was based on having seen the heights Hot Fuzz/Shaun of the Dead team is capable of. 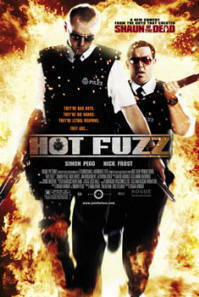 That said, while I’m not giving Hot Fuzz an unqualified rave, I still thought it was a lot of fun.